Late in 2013, I completed their Certificate in Cuban Studies, under the direction of José Azel, and got to interact with the most prominent Cuban dissidents of our era. That included Huber Matos (recently deceased), a general-turned-defector from the 1959 revolution, and Yoani Sánchez, a blogger and author who has now started a digital-media outlet on the island, 14ymedio. The tragedy is that so few people draw on this invaluable resource. Even with the intellectual firepower on offer, their certificate program could barely attract a dozen students. Perhaps it is just a symptom of the aging exile community and less interest among their descendants, but if you’re under 50 and attend one of the Casa Bacardi events, you will be the “young man” in the room. While the ICCAS focus remains on substance over style — their websites could sure do with a redesign — they are making efforts to reach out to new audiences and offer educational tours. 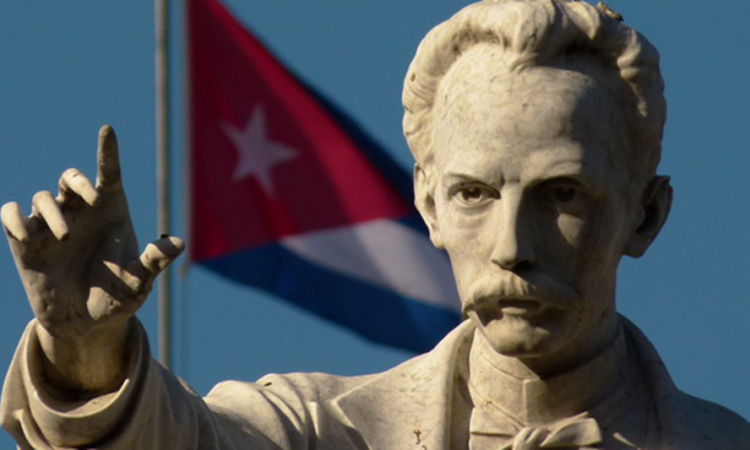 One recent addition is a short English-language documentary, Cuba: From Columbus to Castro. Written by Pedro Riog and Jaime Suchlicki, author of a book with the same title, this one will not win any prizes for production value. It is primarily image stills, many of them of low resolution, alongside straight narration from retired professor Frank Rodríguez. As its brevity suggests (25 minutes), it is meant for the newcomer — a concise yet authoritative overview of the Cuban story. Given so much ground to cover and a rapid pace, one can be forgiven for rewinding to properly digest many of its assertions. The documentary’s value lies in conveying the breadth of the Cuban story, in particular the level of refinement and economic progress achieved on the island prior to the purported quest for a socialist paradise. It explains why, even after all these decades, so many still reminisce and grieve the bygone nation. In its final few minutes, as it addresses the most recent years, Rodríguez explains why 1.5 million Cuban nationals (approximately 15 percent of the population) live outside their mother country. Contrary to common perception, the rulers of the Cuban regime have not relinquished to liberalization, not even in the manner of the Chinese. In fact, as affirmed, militarization and repression on the island are getting worse, not better. People still risk their lives trying to flee to Florida, many falling victim to the sea. And the regime’s desire for international clout remains, now on the purse of the Venezuelans, since the breakup of the Soviet Union. If you are new to the topic and willing to take a dose of bleak reality, you could hardly do better than From Columbus to Castro. If anything, it will help viewers understand the exile community and motivate them to support the struggle to reclaim their homeland from the tyrants at the helm.